A popular vegetable in Mediterranean countries, fennel comprises of a broad white bulb with light green stems resembling celery. 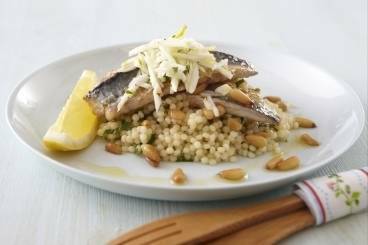 Since fennel has a mild aniseed flavour akin to licorice, it is best cooked with ingredients of delicate flavour such as seafood. Crisp biscotti biscuits made with fennel seed, coffee and whole almonds. A tart of honey glazed fennel, sundried tomato and creme fraiche topped with slices of sea bass. A delicious creamy fennel soup with mussels and snipped chives. Roasted fennel served with ratte potatoes, braised baby gem and a creamy mustard sauce. Roasted fillet of salmon served with a wilted fennel salad and a garlic, chilli and black olive dressing.